Italy on Friday rolled out the red carpet for Xi, who met his Italian counterpart Sergio Mattarella in Rome. 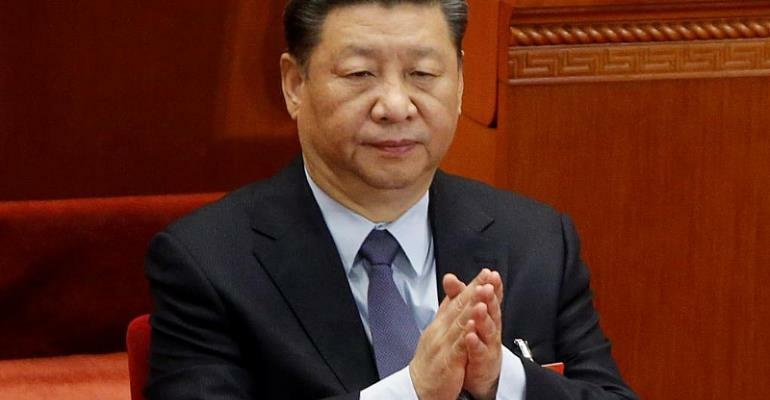 Around 1,000 extra police have been deployed around the Eternal City for the state visit before Xi heads to Palermo, where his singer wife Peng Liyuan reportedly wants to see the Teatro Massimo opera house. Salvini has said Italy would be "no one's colony" and urged caution about using telecom giant Huawei's next generation 5G mobile technology. Governing coalition partner Luigi Di Maio is keener for Chinese partnerships. Chinese firms have invested more than 145 billion euros in Europe since 2010, but investment has been slowing recently as several European governments tighten rules on acquisitions by foreign firms. Chinese firms acquired Sweden's Volvo Cars, Italian tyre-maker Pirelli, French holiday group Club Med as well as the German machine tool firms Kuka and KraussMaffei. Rome is ready to sign up to China's Belt and Road Initiative (BRI), following fellow EU nations Greece, Hungary, Poland and Portugal. Critics are concerned about Chinese investment in countries which may not be able to pay back the huge loans that come with these infrastructure projects. Some countries along China's new Silk Road are already deeply indebted to Beijing, including Djibouti, the Maldives and Pakistan. Others, including Malaysia, have pulled out of projects, saying that they are not feasible. European clients of China's BRI may draw lessons from Montenegro where the Chinese are involved in the construction of a 165 km highway that includes a 41 km stretch through mountains, requiring bridges and tunnels. A Chinese loan for the first phase has sent Montenegro's debt soaring and forced the government to increase taxes, partially freeze public-sector wages and end a benefit scheme for mothers in order to get its finances back on track.